Fiji is the hub of the South Pacific and one of the best places to invest offering a strategic location, business-friendly policies, low taxation and other advantages. Government has undertaken a number of vital reforms over the past years to create a conducive investment climate in Fiji. The reforms range from substantial reduction in tax rates, infrastructure development, provision of low cost public utilities, improved broadband services, removal of bureaucratic processes and improved public service delivery. Government will continue to play a facilitative role by enticing the private sector to drive investments in the economy. In 2013 the investment/GDP ratio exceeded the 25% target to 28.2% which represented around $2bn in investment driven largely by the private sector contributing $950m or 13% and $765m or 10.2% from public enterprises, $365m or 5% from the Government. For 2012, total investment was around 18.0 percent of GDP compared to 16% and 14 % respectively for 2010 and 2011, which the private sector investment contributed 10.3 percent ($768.6 million), Government investment 4.7 percent ($350.7 million) and Public investment at 3.0 percent ($223.9 million). Fiji has eased certain exchange controls, a sign of confidence in the strength of its economy, which investors will find attractive, and this will continue. More incentives have been added by Government to attract investment and help our economy grow and to position Fiji as one of the most preferred locations in the region for both foreign and local investments. Incentives include the removal of the $250-thousand minimum investment requirement for foreign investors. Government has provided more funds to help Fiji Film grow the new market of filming. Moreover, a discounted 17 per cent corporate tax rate and other incentives have been made available to any foreign company that establishes its regional or global headquarters in Fiji. Companies that list or are listed on the South Pacific Stock Exchange will now pay a reduced corporate tax rate of 18.5 per cent – as opposed to the normal corporate tax rate of 20 per cent. Existing tax deductions and incentives for listing will continue. 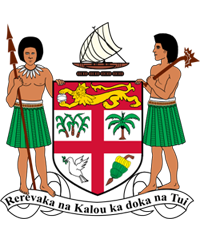 Tax Free Regions have also been implemented as part of Fiji’s pro-investment package.